Eat Bittersweet Dark Chocolate with Almonds! Eat Bittersweet Dark Chocolate with Almonds! 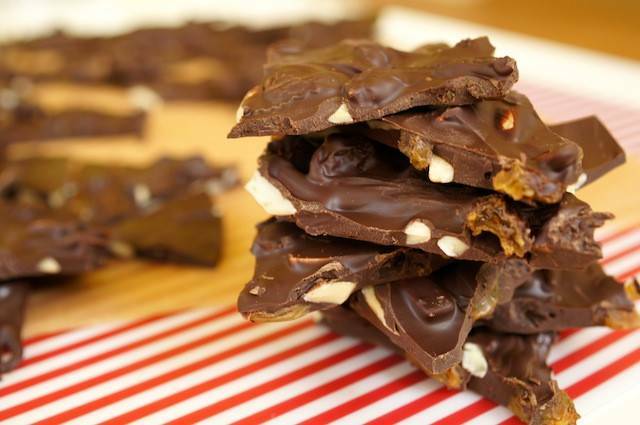 Did you know that November 7th is National Bittersweet Chocolate with Almonds Day? Bittersweet dark chocolate is chock full of blood-pressure- lowering flavonoids. Almonds are rich in fiber, monounsaturated healthy fats and antioxidants. The two together are pure health food heaven!